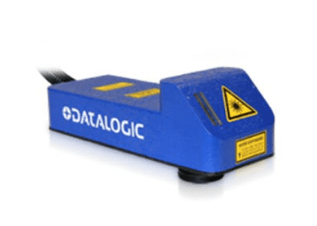 Datalogic Offers the Widest Variety of Laser Markers and the Most Extensive Power Ranges of Any Supplier. - Allied Automation, Inc.
Datalogic Offers the Widest Variety of Laser Markers and the Most Extensive Power Ranges of Any Supplier. Don’t settle for less and spend thousands more. Provide us parts to test and we will mark them and provide a feasibility study with a video showing the marking process. UniQ™ is the first ultra-compact “ALL-IN-ONE” laser marking system based on fiber laser technology. Thanks to compact dimensions, the rugged IP54 grade housing, the complete absence of an external controller and fiber optic delivery cable, UniQ™ laser markers are really unique. With 15W of optical laser power, the UniQ™ laser marker offers flexibility in marking on a wide spectrum of materials. The ultra-compact design and the high efficiency, low noise, cooling system allows for easy integration even in tight spaces and complex environments. 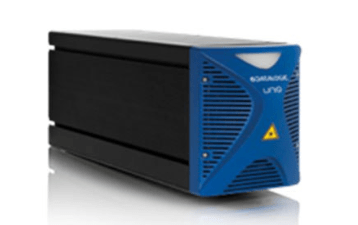 UniQ™ laser markers are powered by the latest version of Lighter, Datalogic’s laser marking software suite, and offer maximum customer ease of use and great flexibility in system integration. AREX is the ultra compact Fiber Laser that is setting a new reference standard in the permanent marking arena. With the smallest marking head footprint, AREX drastically simplifies design for system integrators, and makes mechanical installations extremely easy in all the applications: from stand alone marking stations to fully automated working center in production lines. Thanks to the state-of- the-art fiber technology, AREX allows high speed marking on metal and plastic material increasing systems productivity. The AREX MOPA fiber laser can even mark different colors on certain metals providing a way to make your products unique!